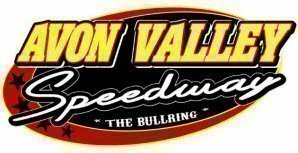 Avon Valley Speedway presents Night of Destruction!!! Stuntman Keaggy and his crazy stunts!! A new action packed 3 hr event featuring the stunt drivers from Max Max movie in their monster truck "Shattered Silence". This monster will crush and kill cars like we have never seen before. Stuntman Keaggy will attempt to jump through a caravan. That’s correct through a caravan!! Four ultimate speedway classes will provide non stop racing action over a set of heats before their big race - the Main Event. To finish this night of destruction a winner takes all Demolition Derby will see the Valley's craziest drivers battle it out till the last car is standing. Tickets are limited, with the last monster truck event a sell out! - Plenty of onsite parking is available. - Food and non alcoholic drinks are ok to bring along, no glass permitted. - Limited Concrete Grandstand seating available, advised to bring along a fold up chair.